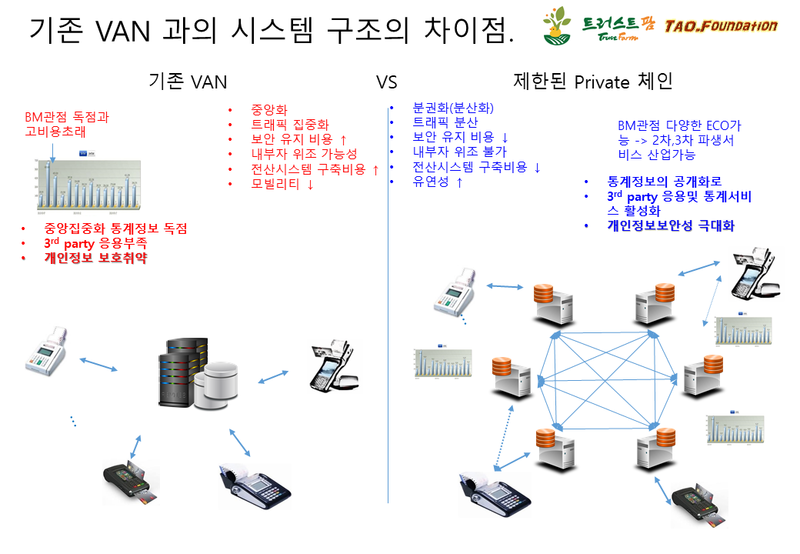 제안 기술 : TPS 와 트랜잭션 수수료가 낮고, 보안 유지 비용을 극소화 하는 POA / DPOS 블록체인을 기반으로 , 퍼블릭이 아닌 Private 노드로서 제한된 Community [서울시,금융권,IT업체,상공인연합회, …] 이 각각의 노드를 유지 관리한다. [Information-Progress] ETC Airdrop Completed, ETH Airdroping Now. ETC 250K Accounts, Airdrop completed. ETH 5_600_000 (5.6M) Accounts, Airdroping. Currently, 370_000 (370K) Accounts progressing. It will finished until on this end of week days. We’ll prepare TETHash (ASIC Preventing ETHash Algorithm) for TEO chain. We provide 2 kinds of Explorers. You can check your ETH/ETC Accounts related TEO Airdrops. You have still chances to join our TAO and TEO Projects.